Lessons learned from the Ebola outbreak in Sierra Leone and Safeguarding against Sexual Abuse might not be what you would expect to see on the agenda of a typical Project Delivery Conference, but this was not a typical conference. This was a conference with a difference, and Ebola and Safeguarding are just two examples of the many challenging projects led by the Department for International Development (DFID). 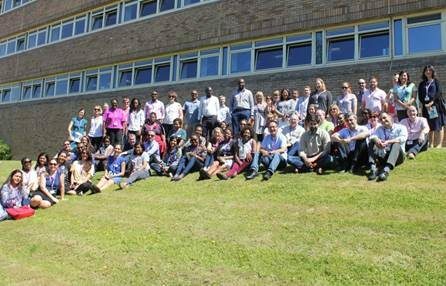 At the end of June, over 80 DFID project delivery professionals from 28 countries around the world gathered in Scotland, to share lessons learned on some of the most challenging projects across government. DFID projects may not be the biggest in government with only one project on the Government Major Projects Portfolio (GMPP), but they certainly face some of the most extreme environments and fundamental humanitarian issues. DFID's global project delivery network is made up of Programme Management Leads – the individuals who represent and support the 900 strong DFID programme management profession. They travelled from 28 countries where they manage projects, often working on complicated issues in complex environments. These include helping to reduce extreme poverty, create jobs and economic growth or respond to humanitarian crisis. 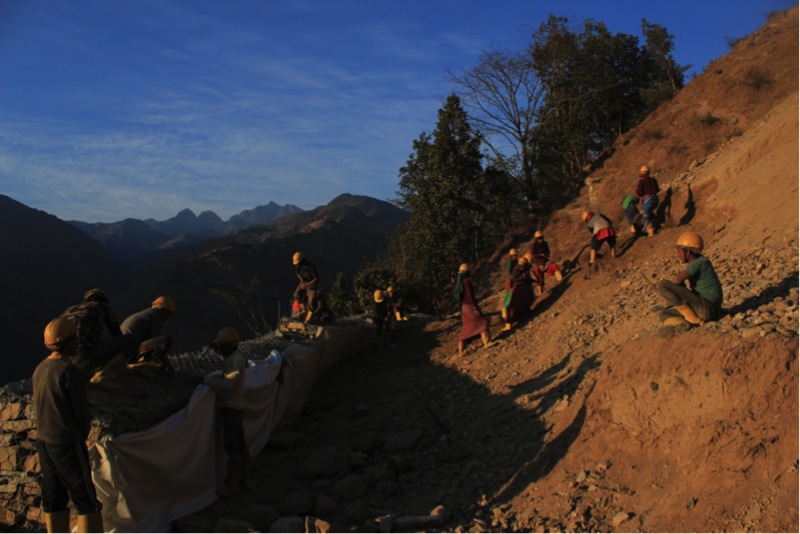 The finished rural road in Kalikot, an extremely remote and mountainous district in Nepal. 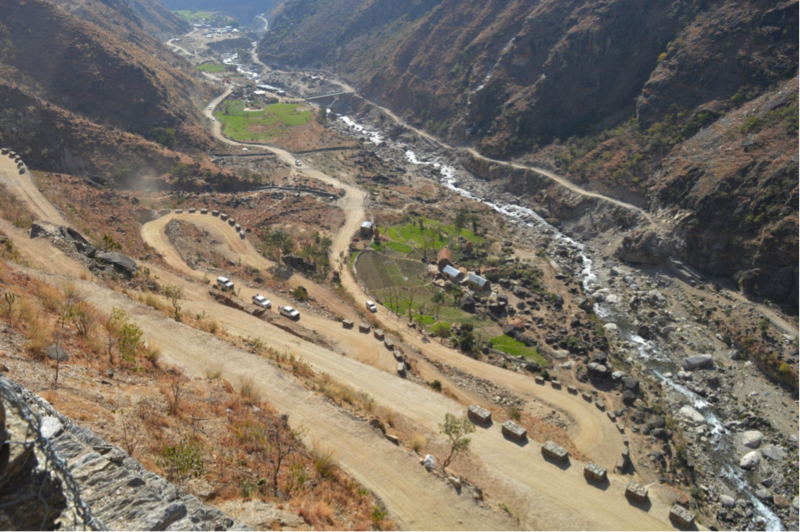 23,000 people benefit from this road and the majority of RAP3’s investment for this road has gone in wage payments to 1,400 poorest and hardworking local households. Over three days in June, the group exchanged learning and advice from their programmes. For example, how learning from the Ebola outbreak in Sierra Leone informed DFID's response to the recent outbreak in the Democratic Republic of Congo. Sessions also looked at emerging best practice in agile programming in fragile environments and as well as influencing and leadership. The conference was a chance to update each other on the new safeguarding standards we are applying to protect beneficiaries from sexual abuse, exploitation and harassment, and the latest functionality with DFID’s own programme management software. Nick Borwell, Director of Project Delivery Profession at the IPA spoke to the group about increasing project delivery capability across government through our new Project Delivery Competency Framework (PDCF) and new Project Delivery Standard, currently on trial in Knowledge Hub. DFID’s Global Network gathered together for the first time in Scotland to exchange ideas and discuss lessons learned from their programmes being delivered across the world. Although DFID’s project delivery profession is new, it is backed by a set of professional standards and competencies and a new learning offer. We are also receiving vocal support from our Permanent Secretary and other senior leaders. DFID’s Better Delivery Department provides the hub for the profession and drives improvements in delivery management across a portfolio of almost 1,000 programmes. You can find out more about DFID and how we manage projects and programmes here, or by emailing pmprofession@dfid.gov.uk.